Babin Kuk is situated at the northern end of the Lapad peninsula and has a range of hotels and apartments. In Babin Kuk you will find a range of hotels ideal for every kind of holidays - family holidays, romantic getaways, activity holidays or just short city breaks. 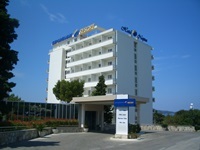 Two hotel chains have hotels in Babin Kuk: Valamar Hotels & Resorts and Importanne Hotels & Resorts. Below you will find short descriptions of each hotel to help you choose the perfect one for your Dubrovnik stay. 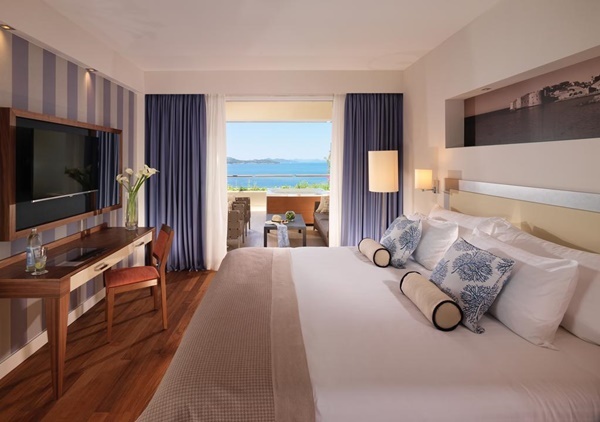 5-star Valamar Collection Dubrovnik President, overlooking the Elaphite islands, offers accommodation at 292 rooms, each with its own balcony with amazing seaviews. Hotel has its own pebble beach with sun beds, parasols and baldachins. 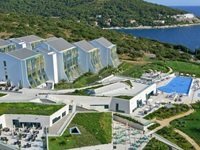 Valamar Collection Dubrovnik President Hotel has a wellness centre, indoor and outdoor pools, kids' club and spaces for conferences and events. Abyss Diving Centre is based on the beach offering jet-ski, water-ski, stand-up paddle, banana boat, parasailing and scuba diving. 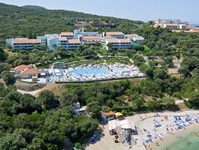 4-star Valamar Lacroma Hotel is surrounded by pine tree forests of Babin Kuk area. It offers accommodation at 385 ultra modern rooms and suites. For dining options you can choose from Langusto restaurant serving Mediterranean food or Lacroma buffest restaurant. At the hotel there is Ragusa spa wellness centre. Hotel Valamar Lacroma has an outdoor swimming pool with separate children's pool as well as indoor pool. Valamar Hotel Lacroma has the largest hotel conference hall in Croatia (for up to 1200 persons) with 7 additional meeting rooms. 4-star Hotel Valamar Argosy is set among Mediterranean forests and offers quiet and relaxed holiday in Dubrovnik. This hotel has 308 spacious rooms (twin & double) with views of the nearby Elaphite islands. From the hotel you can easily walk to the several great beaches or relax by the new infinity pool. Show cooking restaurant at the hotel offers you fascinating world of international and Dalmatian cuisine. 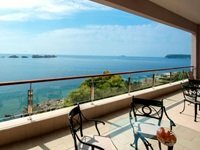 3-star Valamar Club Dubrovnik is ideal for a family holiday in Dubrovnik. This hotel situated above Copacabana beach in Babin Kuk offers interconnected rooms and all inclusive service. At the hotel children from 3 to 17 years old, can take part in creative games, sport activities and entertainment programmes. At the restaurant there is a children corner. Outdoor pool with separate children's pool is ideal for spending warm summer days. 3-star Hotel Tirena is set in the quiet surrounding of Babin Kuk. Hotel offers 208 comfortable and air-conditioned rooms (twin & double & family). You can enjoy by the spacious outdoor pool which has swim-up bar. In the evening, enjoy the special atmosphere with live music while tasting grilled dishes at the barbecue pool party. Copacabana beach can be reaches in a short walk. Bus stop to the Old Town is close to Hotel Tirena. 5-star Hotel Neptun, surrounded by fragrant pine and olive trees is an excellent choice for both families, couples or solo travellers. From the hotel you can easily reach historic Old Town only 10-minute bus ride. 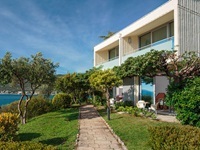 Guests will enjoy hotel's comfortable rooms overlooking the Adriatic Sea and the Elaphite islands. Hotel Neptun offers access to a stunning beach along the crystal clear sea. For those who like fine dining this is ideal place as hotel has 6 different restaurants serving delicious Mediterranean as well as international food. 5-star Hotel Ariston is a part of Importanne Resort situated in the peaceful surroundings of Babin Kuk. 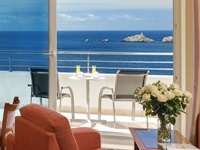 Hotel Ariston offers stunning views of the Adriatic sea and offers excellent service combined with newly renovated rooms. Guests of the hotel can dine in 6 different venues each serving delicious international and Croatian food. Importanne Resort has a wellness zone with fitness, sauna, indoor and outdoor swimming pools. 5-star Royal Blue Hotel is the perfect destination for travellers seeking a relaxing holidays by the sea. Hotel offers tastefully designed and comfortable rooms with all amenities needed for a great stay. Royal Blue Hotel features the only outdoor rooftop swimming pool in Dubrovnik. Guests can take a dip or grab a drink at Blue Sky Bar while enjoying the most spectacular panoramic views of the Adriatic Sea and the nearby islands. Guests have a choice of several excellent restaurants at the hotel as well as access to the wellness zone (indoor pool, saunas, gym, treatment rooms). 5-star Royal Palm Hotel, situated by the sea and surrounded by Mediterranean garden is an ideal choice for couples, families or groups of friends. Guests can choose from luxury rooms and suites and superior suites featuring a wide range of amenities. Guests of the hotel can choose to dine at a variety of restaurants serving delicious local and international cuisine. Along with the wellness zone with fitness, sauna, indoor and outdoor swimming pools guests can enjoy various treatments that will make their stay memorable.